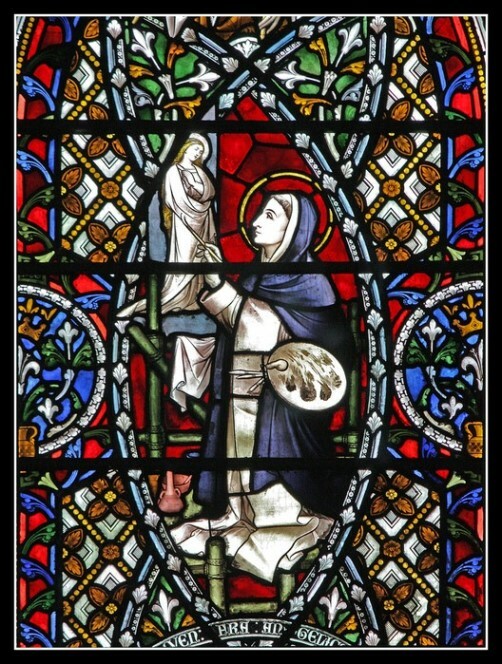 Commonly used in churches for decorative and informative purposes, stained glass windows as an art form, reached its height in the Middle Ages. 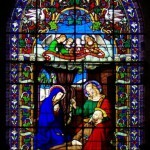 In fact, stained glass became a major pictorial form used to illustrate the narratives of the Bible to a largely illiterate populace. 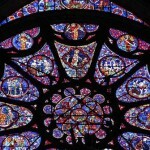 Thus, window glass was in use from at least the 1st century AD. 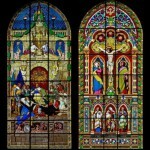 Besides, the production of colored and painted window glass for the use in religious buildings appeared at an early date. 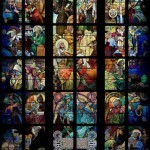 Perhaps, the earliest extant example of ecclesiastical stained glass is that from San Vitale in Ravenna, Italy. 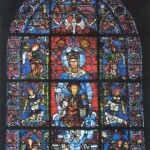 In particular, discovered here clear glass roundel with a depiction of Christ in Majesty, thought to be 6th century art. 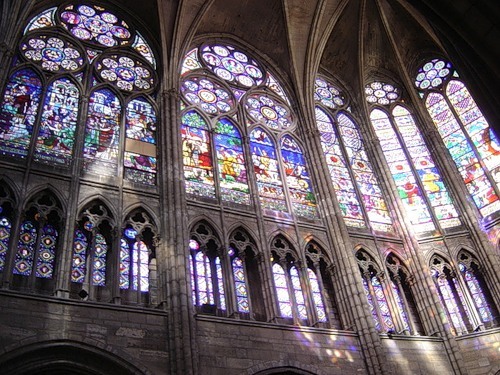 This is a large medieval abbey church in the city of Saint-Denis, now a northern suburb of Paris. 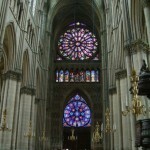 The building is of unique importance historically and architecturally, as its choir completed in 1144. 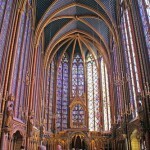 Noteworthy, considered to be the first medieval Gothic architecture ever built.